Based on his bestselling memoir of the same name, Life Itself, explores the impact and legacy of Roger Ebert’s life, from his Pulitzer Prize-winning film criticism at the Chicago Sun-Times to becoming one of the most influential cultural voices in America. The filmmakers were granted unprecedented access to Roger and Chaz during the final four months of his life. In that time, they captured Roger’s fighting spirit, his sharp sense of humor, and the ways he directly inspired filmmakers, family and fans. The response to Roger’s unexpected passing in April 2013 was immense and profoundly moving – front page news not just in Chicago, but worldwide. Influential filmmakers and politicians reflected on Roger’s legacy – everyone from Spike Lee, and Michael Moore to President Obama, who said, “When he didn’t like a film, he was honest; when he did, he was effusive – capturing the unique power of the movies to take us some place magical.” Roger was an avid supporter of independent film, and an early champion of the work of iconic filmmakers, and Life Itself interview subjects, such as Werner Herzog, Errol Morris and Martin Scorsese. Roger himself became an iconic force when he joined with Gene Siskel to create one of the longest running, most influential television shows in history, making Chicago the cultural center of film criticism. The film features candid and insightful interviews with many of the principal producers of the show, along with the first ever feature documentary interview with Siskel’s wife, Marlene. In the wake of Roger’s illness and disability, Roger’s writing grew creatively and in importance – transcending film criticism. Using his blog, and social media, Roger became a must-read commentator, thoughtfully addressing the political and social issues of our time. His public defiance of cancer and the resulting disfigurement literally and symbolically put a new face on the disease, and brought inspiration to countless thousands in the disabled community and beyond. Despite his "leave of presence," his body of work stands as a great populist monument, accessible inspiration for the next generations of film lovers. 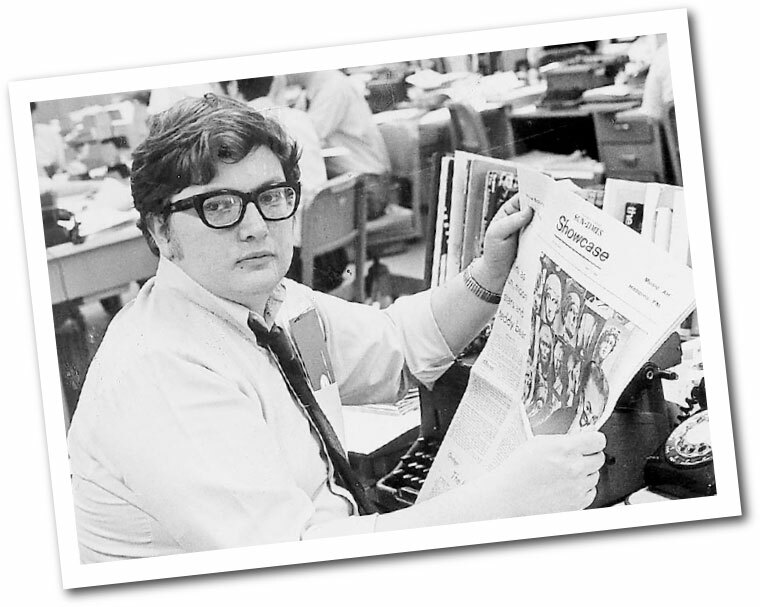 Life Itself gives a definitive document of the flesh and blood man who forever changed what it meant to be at the movies: Roger Ebert.